Why are we reading so much about detoxification these days? Well, 100 years ago, as the chemical manufacturing industry began to flourish, America was in love with discovering more uses for synthetic materials. You could use them to preserve foods and make personal care products. You could use them in manufacturing, to make all sorts of things. You could even use them to medicate a symptom of a health problem. Dow, Dupont, and Monsanto created jobs and an endless array of new products—while we smiled, clapped, and bought more, more, more. Meanwhile, byproduct chemicals of our many manufacturing processes were pumped into the air and the streams. In recent decades, we’ve awakened. Thousands of published studies sound the alarm, as evidence mounts that while chemicals may block a headache, they are also causing headaches. Both literally and figuratively. It’s clear that the human brain, nervous system, gastrointestinal tract, and pulmonary system are slowed down by, and challenged by, thousands of the chemicals now ubiquitous in our food, environment, and medicine. Hundreds of these chemicals have now been linked to the cancer epidemic and other disease states, and most chemicals haven’t been tested for ecological or human safety at all. The average newborn now has over 230 chemicals in her umbilical cord. Don’t feel hopeless. But do be educated and empowered! Recent innovations can help you quickly clear up the air inside your home, purify your water, and assist your organs in naturally eliminating chemical toxins. Eliminating certain foods from your diet will help dramatically too, and may decrease or eliminate many symptoms you’re having. Before we talk about some of the most powerful ways to decrease your Toxic Load, we need to define the problem. This equation is simply a model to help you understand the concept. Currently, there’s no comprehensive assessment tool to calculate your Toxic Load in numbers, but functional medicine practitioners can utilize new technology to tell you, for instance, the levels of the toxic heavy metals in your body. The Oligoscan is an exciting, non-invasive tool that delivers highly accurate measurements of the levels of arsenic, lead, cadmium, mercury, and more. It also painlessly delivers an assessment of how blocked your detox pathways may be. 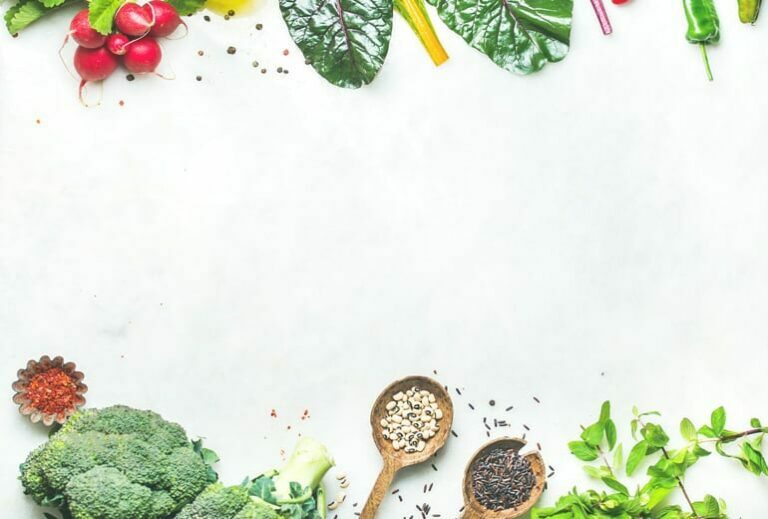 An excellent functional medicine practitioner can then help you chelate, or release over time, many of these heavy-metal toxins by opening up the body’s elimination pathways. While human detoxification is a growing field in holistic medical treatment (and I love this clinic in Switzerland for a 1-week, 2-week, or 3-week course of diagnostics and treatment), you don’t have to wait for an appointment with qualified practitioner before making positive changes. Here are six several powerful things you can do from home. Each of them has been an important part of my strategy in improving my family’s health. Some detox habits are particularly powerful in helping your body’s natural detoxing processes. If you want to know the fastest way to detox your body, here are a few suggestions for a natural body detox cleanse. 1. Clean up your cosmetics and personal care items. Avoid toxic chemicals that may be found in the hygiene products and makeup you buy. Many of the worst chemicals are found in beauty and personal-care items like sunscreens, lotions, nail polish and remover, foundation (including mineral makeup), and more. Commercial deodorant is a significant problem, as the common brands contain aluminum, a heavy metal known to cause neurological problems and cancer, and is applied to a highly absorptive part of the body with many open glands. I use a crystal stick, applied to the underarms right out of the shower, and others like the aluminum-free versions of deodorant found at natural products stores. Beauty Counter avoids many of the common cosmetic toxins, though some of their products still contain mineral oil and GMO ingredients—but this company is very transparent in their practices and ingredients, and avoids the worst of the bad. It’s difficult for cosmetics companies to deliver the makeup performance that women want without all the toxic ingredients, particularly when it comes to foundation and mascara. However, when it comes to cleansers and moisturizers, there’s no need to choose toxic products; a few companies have excellent chemical-free natural options that work just as well. Aside from just pure organic coconut oil, my favorite is Annmarie Skin Care, where you can get a $10 sample kit–and I absolutely love both the performance and the ingredient list of their entire product line. You can now get “5 Free” nail polish, avoiding at least the 5 most-toxic ingredients in nail polish, or “10 Free,” from some brands, avoiding even more toxicity. We’ve prepared a free wallet card for you to print and take to the store as a quick reference to avoid the most toxic chemicals found in what you may be buying in hygiene products and makeup. 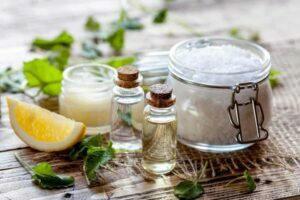 I prefer to shop at a natural products store, versus a typical grocery or department store, because most of the brands avoid most of the worst ingredients. 2. Eliminate dairy products from your diet. 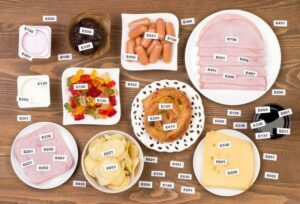 While an explanation of all the toxins in your food is beyond the scope of this article, I will focus on the highest priority foods to eliminate from your diet. Chief among them are dairy products. Most of us have adverse reactions to dairy products–eliminating dairy from your diet will help your body to detox naturally. Most of us have adverse reactions to dairy products, and eliminating dairy from your diet will help your body to detox more effectively all on its own. What your grandmother may have been raised on is a far cry from what is sold at your nearest grocery store. Milk from a cow is now pasteurized, killing the natural enzymes needed for you to digest it properly. Additionally, many, if not most, Americans have become lactose intolerant. Even in its cleanest form, dairy milk is easy for a baby cow to digest but difficult for the human digestive tract, due to a larger fat molecule that doesn’t cross the human semi-permeable membrane very well. Most of us, in reaction to dairy products, produce mucus, which slows down various processes in the body, and when that mucus stagnates (becomes thick, yellow, or green), infections are likely, and inflammation is inevitable. The immune system becomes compromised. Dairy products are among the most mucus-forming and inflammatory of all foods that North Americans and Europeans eat, and the healthiest populations of the world eat little or none of it. Many still believe that dairy is needed for strong bones and teeth, but the evidence says otherwise. That belief is a result of marketing campaigns, not a legitimate health benefit of dairy consumption. This may be best highlighted by the fact that rates of osteoporosis and osteopenia are highest in Finland, the U.S., and Sweden, which are also the highest dairy-consuming countries. It turns out, contrary to a big marketing spend by the dairy industry to convince us that cow’s milk “does a body good,” consuming dairy may actually be bad for your bones. Also, modern dairy operations routinely treat cows with steroids, hormones, and antibiotics, which end up in the milk. You then consume it, and you are at risk for cumulative health risks similar to those of people who take antibiotics and steroids. Those include leaky gut syndrome and other GI disorders, and increased cancer risk. 3. Avoid all foods with neurotoxic chemicals in them. On a college-student budget, I ate a lot of ramen noodles to save money. Unfortunately, I discovered that monosodium glutamate (MSG) in the seasoning makes an already processed food (white flour and salt) that much worse. I learned this only after suffering with neurological symptoms such as migraines, severe vertigo, and even TIA (mini-strokes)! Harmful, chemical food additives are in many processed foods. I gave up ramen noodles for good, and the health problems disappeared. But I began checking other labels and found that MSG is also in non-refrigerated salad dressings, seasoning packets, bouillon cubes, and salty snacks. I gave them up, too. Now, 30 years later, more brands found in natural product stores eliminate neurotoxins from snack foods. Often, these foods are still processed, but at least they’re free of neurotoxins. The other worst neurotoxin is aspartame, or Nutrasweet, and about the time I was becoming vigilant about MSG, I also stopped drinking diet soda (and soda altogether). Years of migraines ended, and I’ve never had another one. We’ve prepared a free Neurotoxins wallet card for you, so that when you’re shopping, you can avoid not only MSG and aspartame and the other ingredients devastating to your brain and nervous system, but also ingredients that hide MSG in them! Marketers have become very clever, hiding the MSG in other ingredients. Arm yourself with the wallet card to avoid cancer-causing phthalates, propylene glycol, sodium laureth sulfates, metals, and other substances known to harm human cells. 4. Get an infrared sauna for your home, and use it often. This one involves saving some money and buying a small sauna unit for your home, but it’s worth spending your tax return or some rainy-day savings on, because it will do far more than open up your pores and allow you to sweat a great deal of chemical toxicity out in a 20-30 minute session. The infrared rays penetrate deeply in tissues, for a far more effective elimination than you get from a steam or other heat sauna. The infrared rays, the same as the healing rays from the sun, also penetrate deeply into tissues, for a far more effective elimination than you get from a steam or other heat sauna. Many published studies have documented that an infrared sauna session can create caloric burn of up to 300 calories in 30 minutes, while stimulating immune cells to work optimally, and stimulating sweat to bring toxins out through the biggest elimination organ you have: the skin. I used to think my body didn’t sweat. For many years, even on a five-mile run in the heat, I hardly perspired. Once I got an infrared sauna and began using it, it seems to have “trained” my body to sweat, and now I “sweat” with the best of them when I run a 5K or 10K! You can ask for our semi-secret wholesale price from the infrared sauna company I trust most. I love my 3-person unit, as my nightly session during the fall and winter lets me spend some time with a friend or one of my children, but you might prefer a one-person unit that takes up less space. 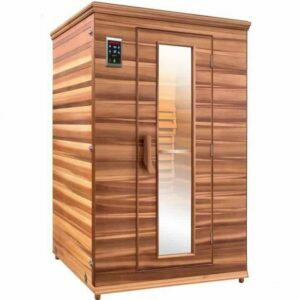 Many sauna companies have high EMF (electromagnetic, radioactive waves), and I chose this one for the price, for the untreated lumber (no offgassing chemicals), and the very low EMF. 5. Clean up your drinking water, and avoid bottled water. Using my alkaline-water machine, installed under the sink in my kitchen. I can’t imagine that somehow the water is better for you three days after it’s bottled! Bottled water contains phthalates, one of the most studied, well-known endocrine disruptors and carcinogenic plastic chemicals. You’re likely aware that your municipality adds fluoride and chlorine to your drinking water. You may not know that steroids, prescription drugs, and dozens of other contaminants like arsenic are routinely found in most municipal water supplies. Standard Brita filters eliminate some of the chlorine, but if you ask me, it’s not good enough. The next step up would be a reverse-osmosis water filter. The Cadillac of water treatment is a water ionizer, which not only filters the water, but replaces the minerals that reverse osmosis removes and “ionizes” the water to make it alkaline. This is far better than distilled and reverse-osmosis water, which is more acidic than tap water due to minerals being removed along with toxic chemicals. I use my own alkaline water machine every day and love the results. It’s pre-calibrated to your municipality’s water tests and installs under the sink, so it’s out of the way. I’ve asked the company to give my readers the same discount they gave me, and they’ve graciously agreed! Just use this link to check out your options. 6. Filter your indoor (home and office) air pollution. Indoors, we are exposed to up to 500 times more pollutants than we are breathing outside! This is the most recent toxicity problem I’ve solved in my own home and office. Because every few years, I studied all the products out there, and I didn’t trust the systemic filtration solutions. 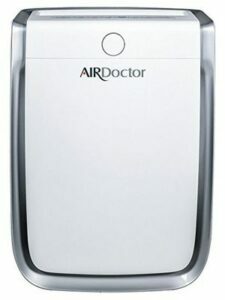 Air Doctor has finally released a small, portable unit that filters 900 sq ft. three times every hour. It eliminates very nearly 100 percent of not just particulate pollution, but also chemical toxins, which are the biggest problem indoors. Air Doctor eliminates very nearly 100 percent of not just particulate pollution, but also chemical toxins, which are the biggest problem indoors. These days, stain-resistant and flame-retardant chemicals are on your furniture upholstery and your carpet, and dozens of toxins in paint off-gas as well. Also filtered out are chemicals from hairspray, nail polish, air fresheners (don’t use them! ), the byproducts of frying foods, pet dander, mold spores, and viruses and bacteria in the air. I negotiated 50% off the Air Doctor units for my own home and office, plus my three adult children’s apartments. (Officially the unsexiest gift I’ve ever given my kids. They’ll thank me later.) And we got that same deal extended to you, too. Where I live, on the Wasatch Front in Utah, we have some of the dirtiest air in the world during the winter, thanks to the mountain valley inversions. Nothing I can do about that besides move away! But we spend 90% of our lives indoors, so it’s great peace of mind to get the “inside air” cleaned up. 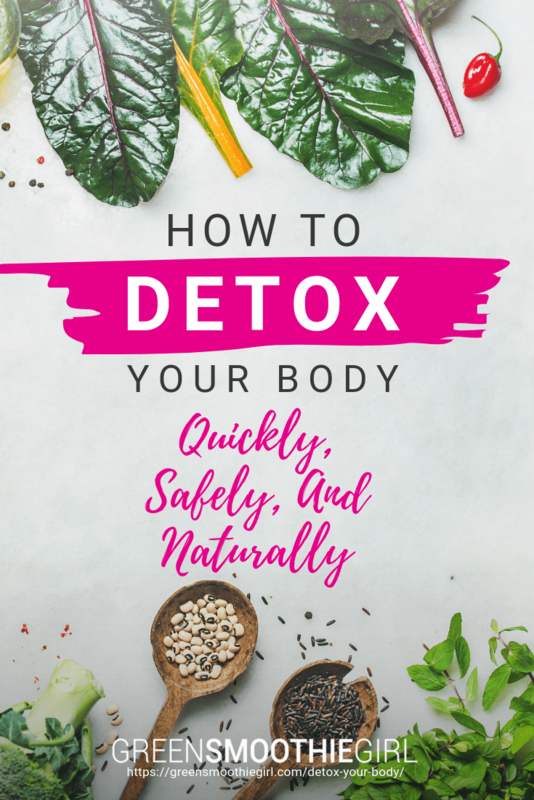 These are by no means all the ways we can decrease Toxic Body Burden, but each of these steps makes a powerful difference all by itself; in combination, I’ve seen specific, noticeable improvements in my family’s health. Tackle one step at a time, and enjoy the health benefits! Disclosure: Affiliate links help support the GSG mission without costing you extra. I recommend only companies and products that I use myself. This post was originally published in December 2017 and has been updated for relevancy. Hello, I’m Maria, from Ecuador, so I don’t have a very good english, but I’m going to try to do my best. I’m 42, and since 2 years ago, I started to have some symptom that I think they are related with menopause. I have done many medical tests, and I’m fine. All values are good, and according to my physicians, evertything is all right, but I feel weak, I have desorders with my rule, breast pain and joint pain, a week before my menstruation, waist pain, before and during menstruation, and during ovulation. I would like to know if there is some juices to help with my condition. Thank you so much. My husband has had a balance problem for over 2 years, requiring him to use either a cane or walker. It turns out it could be from the Lexapro. When they doubled the dosage the problem really excellarated. He decided to go off it Cold Turkey, without telling me. He has been off it for over a week and has all the withdrawal symptoms but refuses to taper off. So, I’m doing recommended supplements for the brain zaps and light-headedness. Fish Oil, Magnesium, B Complex,Vitamin C etc. I also feel that juicing would be of great value. Is there a specific recipe that would speed up the detox and withdrawal symptoms? Thank you for your good advice and kind encouragement. I’ve been interested in doing a detox for a while; and after watching your videos, I bought the book and in the middle of Phase 2. Things are going great. I have a question about the use of psyllium husk, and bentonite clay. In this video, and others I have seen on YouTube; they are the ingredients involved in the release of Mucoid plaque. However; they are not a part of this program. I did read that GSG feels that Metamucil is too harsh. I would just like to have a better understanding of these two products and if they ever should be used. This page likes to disappear. If it happens again I won’t be back.